William Peter Blatty also wrote the screenplay for The Exorcist, which earned 10 Academy Award nominations in 1973. His most recent novels include Elsewhere, Dimiter and Crazy. 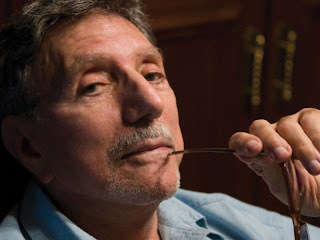 Washington, D.C. – Academy Award winner William Peter Blatty, whose best-selling book and blockbuster film The Exorcist were situated at his alma mater, Georgetown University, announced today that he will lead alumni, students and other members of the new Father King Society to petition the Catholic Church for remedies up to and including the possible removal or suspension of top-ranked Georgetown’s right to call itself Catholic or Jesuit in its fundraising and representations to applicants. The move comes on the heels of an unprecedented rebuke of Georgetown and its first lay president by His Eminence, Donald Cardinal Wuerl, the Roman Catholic Archbishop of Washington, over Georgetown’s invitation to HHS Secretary Kathleen Sebelius to be a diploma ceremony speaker today. Despite this and two petitions collecting almost 60,000 voices, Georgetown did not relent. The Father Kings Society’s Canon Law action, based on Georgetown’s failure for more than two decades to comply with the requirements of Ex corde Ecclesiae (ECE), the 1990 Apostolic Constitution for Catholic Universities, was already being planned before the Sebelius scandal. The Fr. King Society has enlisted the help of The Cardinal Newman Society, which for nearly two decades has been a leader in the movement to promote strong Catholic identity. The Cardinal Newman Society will provide expert advice, research assistance, and public relations support. In 1991-1992, Georgetown was the stage for a similar Canon Law action based on Ex corde Ecclesiae. Then-Dean of Student Affairs Dr. John J. DeGioia, now GU’s first lay president, authorized funding and support for a pro-abortion student advocacy group. Cardinal James Hickey rebuked Georgetown but held that the matter needed resolution in Rome, and the petitioners appealed directly to John Paul II. Georgetown’s Jesuit president was called to Rome. A few weeks later on a Friday afternoon, the support for the pro-abortion student group was reversed, and the Canon petition became moot. It was a success that reverberated as other universities announced defunding of similar clubs. The new planned Canon Law action is larger in scale and potential consequences than the 1991-1992 petition. The United States Catholic Bishops are presently evaluating the implementation of Ex corde Ecclesiae two decades later, and on May 5th His Holiness Pope Benedict XVI urged American bishops expressly to implement the constitution in the United States.